The U.S. bank prime rate remained unchanged at 3.25 percent in the second half of May. An extended period of stability in the prime rate has contributed to an environment of relative stability in credit card rates overall, though there were some slight changes in consumer credit cards since the last survey. While some credit cards base their rates specifically on a given premium over the prime rate, and all credit cards are likely to be influenced by the prime rate to some extent, there are other factors which can cause changes in credit card rates. In this regard, there was a positive development for credit card customers recently. In mid-May, the Bureau of Labor Statistics released a report showing there had been no overall inflation during the month of April. Coming after a first quarter of 2012 in which inflation showed troubling signs of flaring up, this flattening out of prices in April could mark a crucial turning point for the inflation trend. 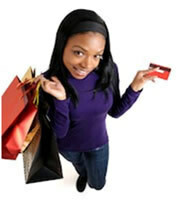 Inflation is important to credit card customers because rising prices often force interest rates higher. From the standpoint of the credit card companies, this is simply a matter of protecting their margins, since only the interest they earn over inflation represents a true profit. Having inflation flatten out takes the upward pressure off of credit card rates, and may even give those rates room to fall. Monthly inflation numbers can be a little erratic, but with oil prices continuing to fall, there is reason to believe that the trend towards easing inflation might continue beyond April. Besides inflation, credit conditions can affect credit card rates, but these tend to have different impacts for different customers, depending on their credit ratings. Easing inflation, on the other hand, is a trend that can benefit all credit card customers across the board. Non-rewards consumer credit card rates dropped by 8 basis points to an average of 15.03 percent, which helped the overall consumer credit card category trim 3 basis points to lower its average rate to 16.94 percent. There were also changes in the consumer rewards credit card category, but these turned out to be offsetting changes (i.e., an increase and a decrease of equal magnitude) by two credit cards so the category average remained the same. This underscores the importance of shopping for credit card rates. Even though average rates may not be changing much, there are still important differences between various cards which can save consumers money. As students headed home for the summer, besides no longer having term papers and finals to worry about, they also didn't have to concern themselves with any changes in their credit card rates, as this category held steady at an average rate of 16.98 percent. This average has remained unchanged since early March. Both categories of business credit cards, those for non-rewards cards and those for rewards cards, were unchanged in the second half of May. In fact, the non-rewards category hasn't changed since late November. The spread between rates for customers with top credit ratings and those with average credit narrowed by five basis points in late May, to 4.19 percent. This narrower spread means less of a reward for customers who maintain excellent credit, though it should be noted that this spread has widened overall since the end of last year, when it was 3.69 percent. 0 Responses to "Some consumer credit cards get cheaper"